Hey, hey! It’s my first post for the year! I thought I’d share a tip that has helped me with my social media strategy immensely. You’ll find no resolutions or word of the year here, it’s not really my style. I tend to hit the ground running and just move towards my goal with everything I have. Not the best strategy, but it gets me there, you know? As Doc Hudson said in Disney Cars, “just find the groove that works for you and get that lap back.” Yes, I totally referenced my son’s favorite cartoon there. haha! Anyway, just between us, staying at the top of your game on social media can be exhausting and time consuming. Can I get an ‘amen’? For us non-photographers, it can be particularly challenging to keep creating images that are effective in conveying our message and brand identity. Artisans are lucky – you will always have the perfect subject matter and props — but you still need to keep taking photos and editing them so they look great. The best solution I found is to use premium stock images. Don’t flip out. I didn’t say use them 100% of the time. Use only stylish, professional stock images. Choose them carefully. They are a worthwhile investment. My favorite source is Haute Chocolate, one of the best ones available out there. 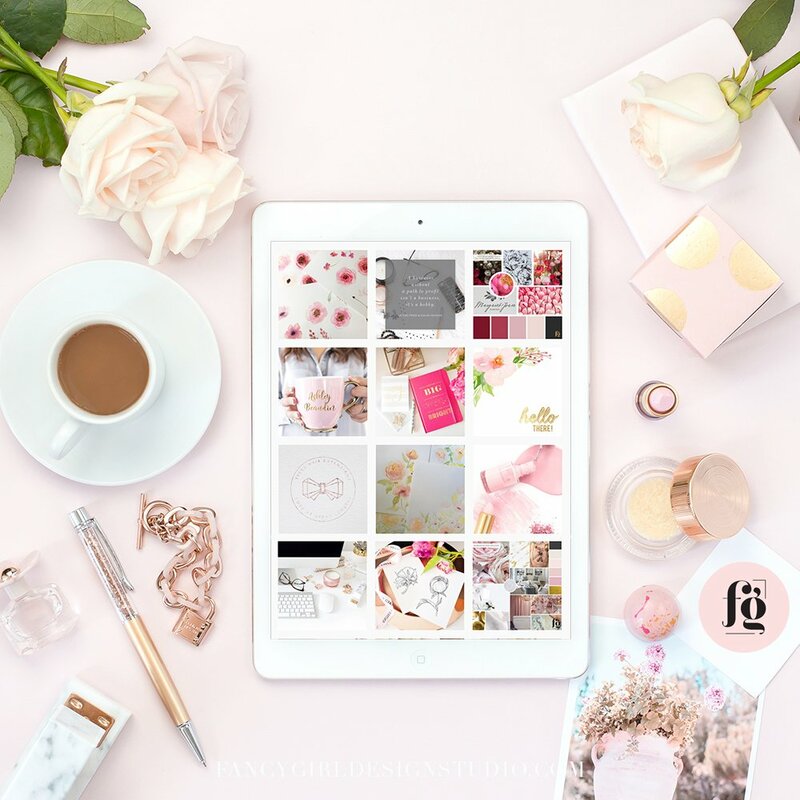 The stock library has themes that will match any brand or season, and you get access to hundreds of images, with new ones added every month. I use them on my website too, and it has totally changed the game for me. I know there are other sources, but Haute Chocolate matches my brand aesthetic perfectly, as you can see from the fabulous images on my website! Mix them up with your own graphics/photographs. 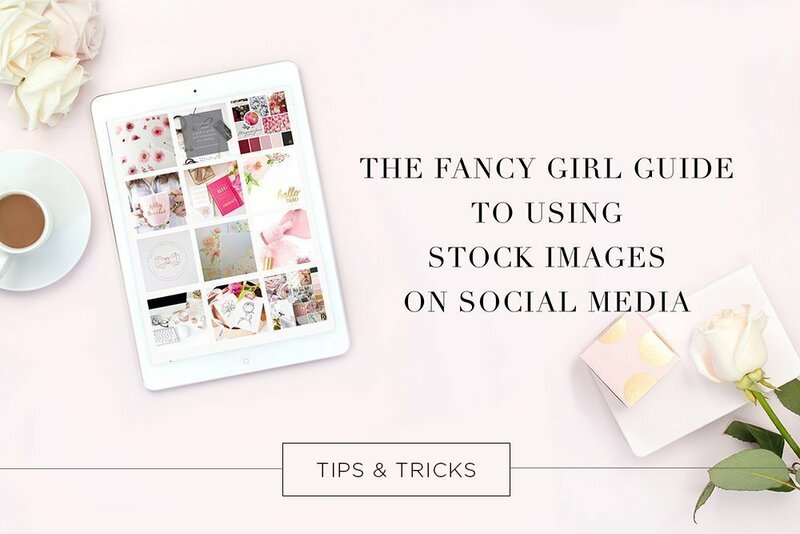 Do not rely solely on stock images, otherwise your feed will completely lose its unique identity. Make sure most of the images are still your own. Make sure it matches your message. It needs to make sense to you and your viewer. Make it your own. You can zoom in and show only one part of the stock image, or add layers of text or background overlays to make them unique to you. Remember that unless you commissioned a photographer to create custom brand imagery, other people are using those same stock images. Stay on brand. Curate carefully. Do not use just any stock photo no matter how pretty it is. Make sure the colors are aligned to your brand colors, and the style also fits your own. If your brand identity includes bright happy colors, do not use moody images with rustic wood and greyed out backgrounds. Do you have any favorite ways of using of stock images? If so, share them in the comments!